If you ever wondered if I have artistic talent, now you know the answer is yes, very much so. This will hopefully be my last blog post from Cali, Colombia, at least until summer of next year. In about 12 hours (at 3:00 am tomorrow), I will be traveling to Chicago, where I will be going to college. For those of you who don't know, I will be going to Northwestern University to major in Radio/TV/Film. 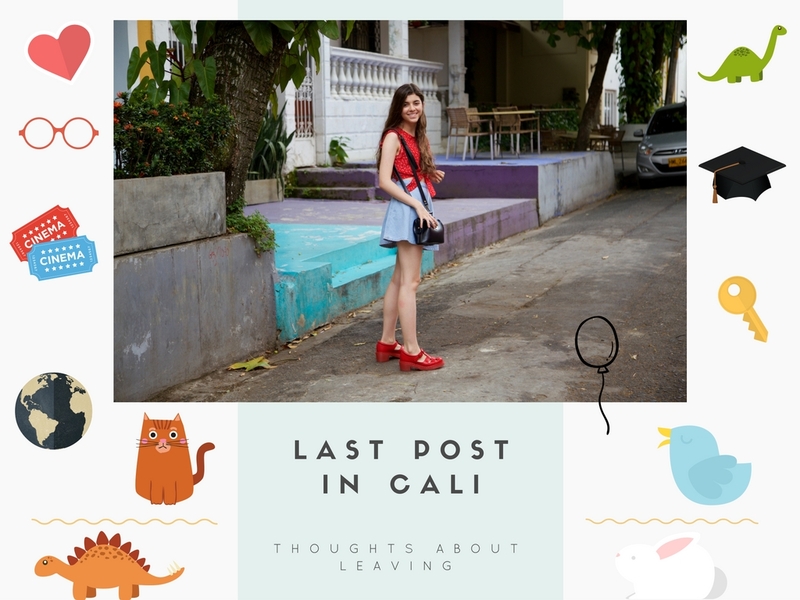 I thought I would make a quick post today just to say goodbye to my old blogging set up here in Cali. I'm in my bed right now and my cat is sleeping next to me, and it just feels unreal that I will leave for college in a few hours. Leaving Tigger (my cat) makes me very sad, of course, but for some reason I feel like he knows what's going on; he's been following me around all day, even more than what he usually does. I really hope he can be happy without me here with him. I will miss him so much I am literally tearing up as I write this. We have been together for over 13 years now, and I'm afraid he'll feel abandoned. Anyway, here are some pictures of us. If you guys like cat accounts on Instagram you should totally follow Tigger's! It's @tiggerrayas, and I post really cute pictures of him there. It's been hard saying goodbye to some people, more than I thought it would be at least. I was very sad when I said goodbye to my boyfriend, who is living in Bogota, but right now I'm so overwhelmed by excitement and curiosity that all I'm thinking about is how awesome it will be to arrive to Chicago tomorrow. I think there are two moments when I get sad when saying goodbye to someone: first, when I am actually saying goodbye to them, and second, a while after when I remember a specific memory that makes me nostalgic. 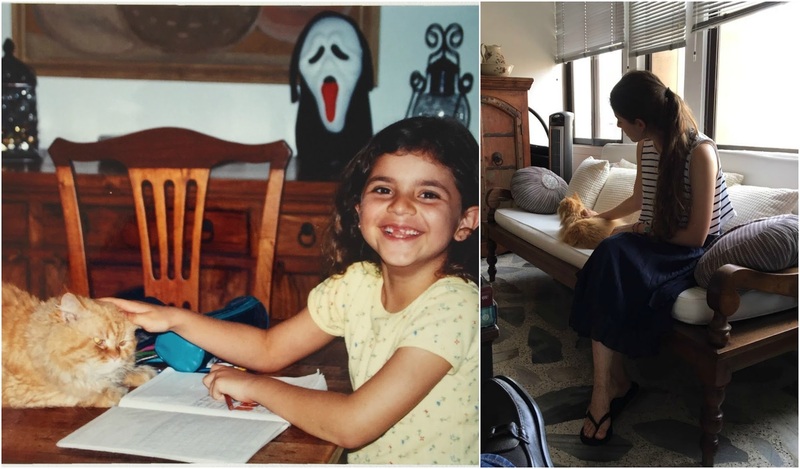 Nostalgia is hard, but I love feeling it. I am a bit anxious about my room and some people I never got to say goodbye to. My room is very spacial to me, as you might have guessed if you read the last post I made, and leaving it behind is making me quite a bit anxious. I'm not sure how to explain the way I feel. Let me try: I get like these compulsions and I have to repeat stuff over and over again and thinking about leaving my room are making them worse. Also, my room is where Tigger usually is and where Becca lives as well. I don't know but I just feel like I'm leaving two living creatures behind and that makes me anxious. I know my family is here to take care of them, but I still can't help feeling stuff. Now, about the people I couldn't say goodbye to, it's probably not what you expect. There are like three baristas that have known me well from different coffee shops, and they don't know I'm leaving for university. Yes, they probably won't notice/care about me being absent, but I can't help but wonder what they'll think happened to me. People make up stories in their minds, at least I know I do, and I would like to know what story they make up for me. Something interesting has happened, just before I move to the USA. My page views from the USA have grown SIGNIFICANTLY lately. I think significantly is an understatement: Colombia was usually my main source of traffic, but now I'm getting over 12 times more views from the USA than Colombia. That's great, I mean, of course I want more visits, but it just makes me curious. Nonetheless, I hope if you're here, you're enjoying it: I really enjoy writing/posting outfits here, so I hope people like what I'm doing as well. I would really appreciate it if you let me know by leaving a comment or following me! I don't know, I just thought I'd share that because it has been on my mind lately. Next time I post something I will most likely be in my hotel, since I can only move into my dorm on September 8th. I will keep you posted on everything! Sorry if this was all over the place, but that's how my mind is working right now. I also don't really have time to edit because I have to wake up at like 1:30 am tomorrow! Like always, thanks a lot for reading, for those of you who did.